Movie aficionados like to keep track of what they have seen and what they need to watch, and there is no better way to do that than TodoMovies from Taphive. I reviewed Todo Movies when it first came out in 2012, and even checked out the last major version, which was TodoMovies 3. I’m a huge fan of the app because it not only looks gorgeous with the high resolution movie posters, but it’s jam-packed with features, such as watch lists and notifications of upcoming releases. If you ever needed to know more about a title, TodoMovies 3 provided all of that, and made it easy to find films that you may not have known about. TodoMovies has been my go-to app for managing all of the films that I want to see, and today it gets even better with the release of TodoMovies 4. 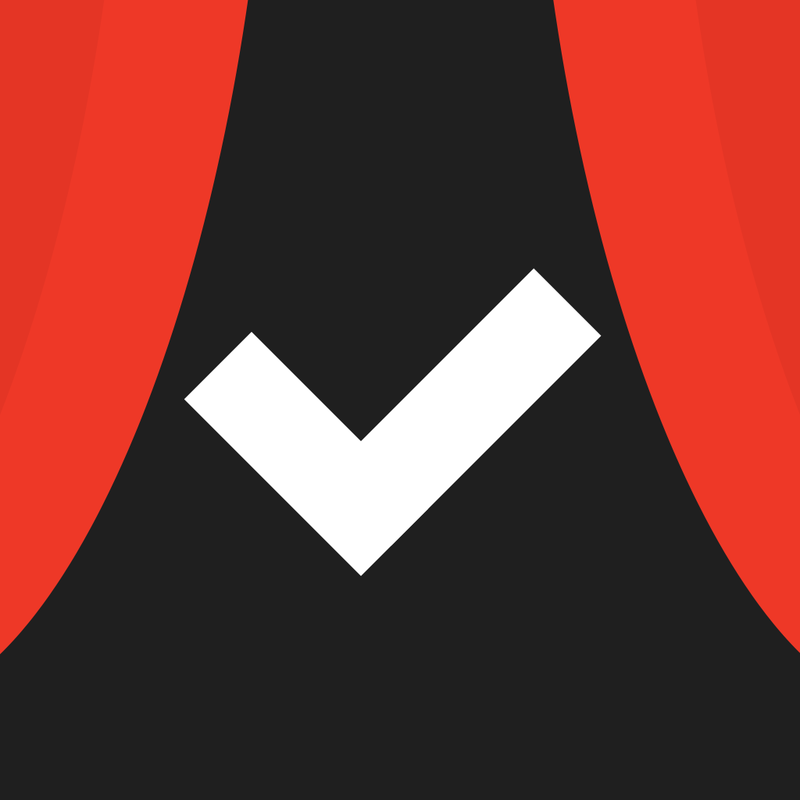 Now you can make your own lists in TodoMovies 4. For most people, keeping track of what has already been seen (Watched) and what needs to be seen (To Watch) should be enough. But TodoMovies 4 brings a brand new, highly requested feature, and that is custom lists. This means that users of the app can now make their own lists, opening up a breadth of possibilities. For example, you can now keep track of “Anime,” “Best Action Movies Of All Time,” “Best Date Movies,” “Movies to Buy,” and whatever else you can think of. To add a movie to a custom list, just scroll down in the revamped movie details screen, which is now easier to use as well. Tap on the section labeled “Custom Lists” and then choose which ones you want to add it to. 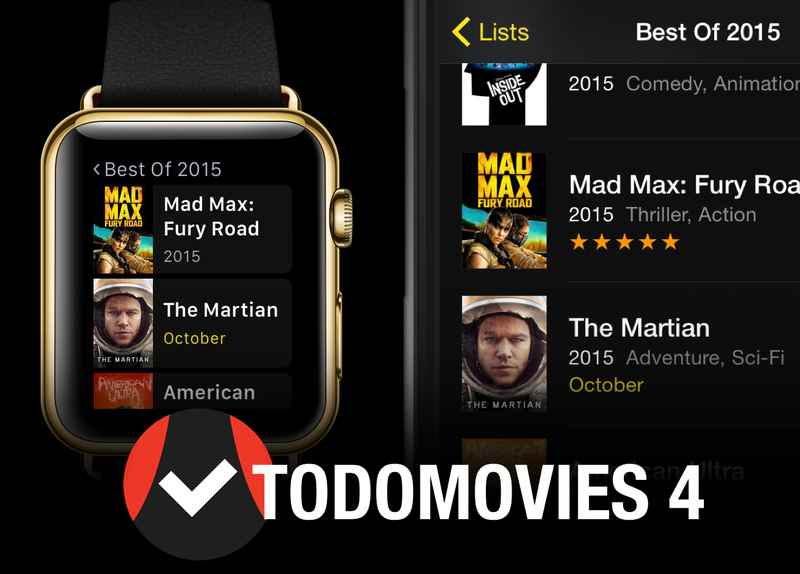 Get the power of TodoMovies 4, now on your Apple Watch. A big new addition in this update is the availability of a compatible Apple Watch app. 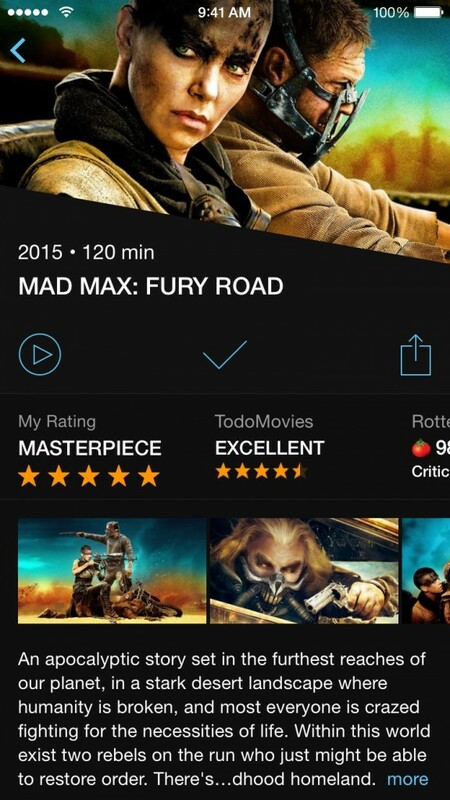 With this, users are able to view lists, mark movies as watched, view movie details, and even rate titles. Performing a Force Touch on a list brings up options to refresh and change sorting order. TodoMovies 4 revamped movie details view. As mentioned, there is a new design for movie details. When viewing a movie, you’ll see the majority of the poster with a section at the bottom that has title, release year, length, and buttons for playing a trailer, adding it to the Watch list, and sharing with others. Tapping the poster will hide the bottom section, and you can long-press the image to save or copy it. Scrolling further down brings up other details, such as synopsis, directors and cast, links, and other useful tidbits such as if there is an extra scene after the credits. Previously, TodoMovies utilized a side panel navigation menu, which I personally found a little annoying to use. Now the app has adopted a tab bar-based navigation menu, which means quicker access to various sections of the app. I’m a fan of making things easier, and this is a big improvement. There is also full support for the larger screen resolutions of the iPhone 6 and 6 Plus, so rejoice, large iPhone users! And like any other update, there are many other small fixes and overall improvements to the app. 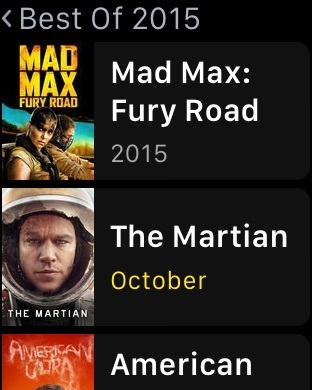 TodoMovies has always been my favorite app for keeping track of movies I’ve already seen and the numerous ones I haven’t seen yet as well as upcoming titles. I’ve been using it for years and I always turn to it whenever I see upcoming trailers or get recommendations from friends and family. This huge update has just made an already great app even better for me. 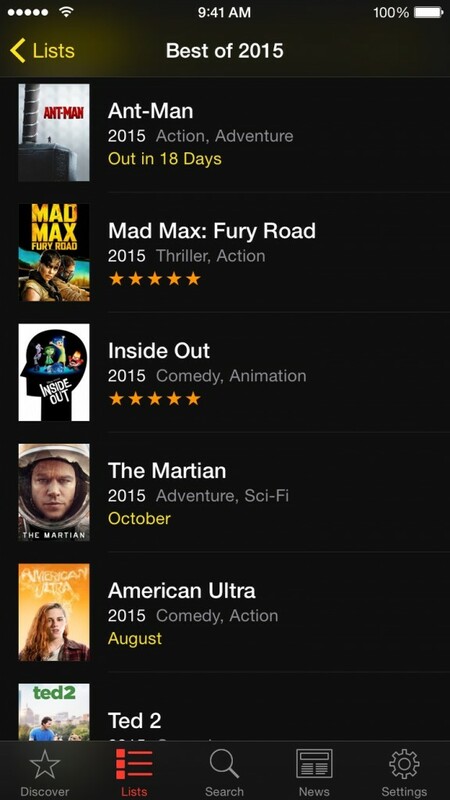 Custom lists are huge, and make it possible to organize your films the way you want to. Getting information on movies is a much better experience, and going to a tab bar navigation menu means less going back and forth. Everyone who is even remotely interested in keeping track of movies needs to check out TodoMovies 4. It’s available on the iPhone App Store for free with a $2.99 in-app purchase to unlock unlimited custom lists and remove ads.